This item is temporarily out of stock. 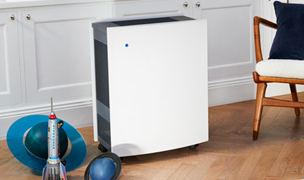 As an alternative we recommend the Blueair AllergyGuard Plus. 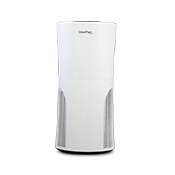 The QuietPure Home+ Smoke Air Purifier by Aerus is quieter, cleans more air and is easier to use than other leading brands. 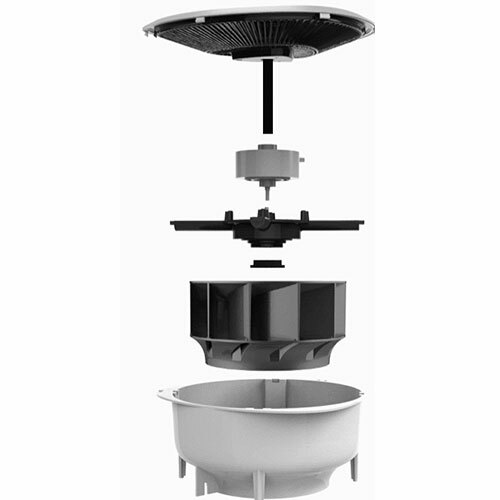 Intelligent monitoring of actual particle count, VOC levels, relative humidity and even temperature. 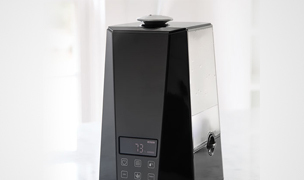 The QuietPure Home+ Smoke Air Purifier quietly and quickly reacts to changes in your air quality, ensuring your home or office is always a healthy sanctuary. 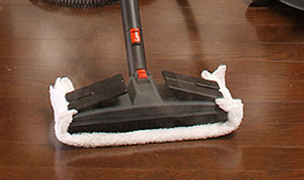 Removes smoke, allergens, dust, pet dander, mold spores, viruses, odors, chemicals and VOCs. Authorized QuietPure dealer. Fast, Free Shipping & 60-Day Risk Free Trial! 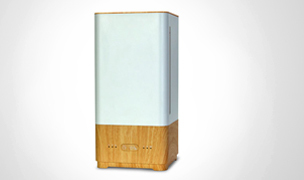 The QuietPure Home+ Smoke Air Purifier by Aerus is extremely quiet compared to other air purifiers; so quiet that it will not disrupt your day or night like other air purifiers. 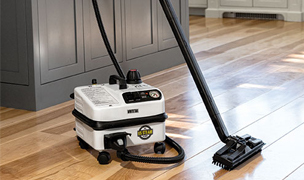 The Home+ Smoke features advanced HEPA filtration and a patented turbo-charged airflow system designed to clean large amounts of air. 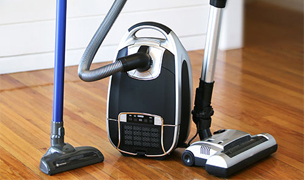 It is ideal for removing smoke, allergens, bacteria, viruses, dust, pet dander and common household odors. 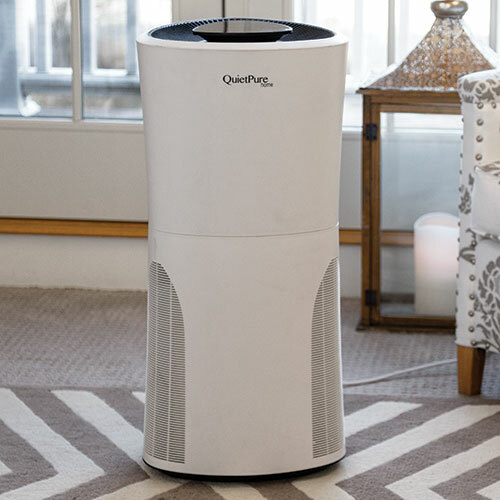 For advanced chemical, odor, VOCs and formaldehyde removal, the QuietPure Home+ Smoke Air Purifier features 4+ lbs. of granulated activated carbon. 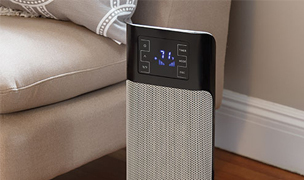 This intelligent air purifier features a smart auto-mode that will clean the air automatically—no need to adjust fan speeds. 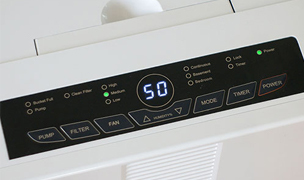 The easy-to-use display shows particle counts, relative humidity and even the temperature in your home. You can also use an optional free app on your smart phone to control the Home+ remotely and view actual indoor air quality in real time. The QuietPure Home+ Smoke easily covers mid- to large-sized areas up to 1158 square feet and is built to last. 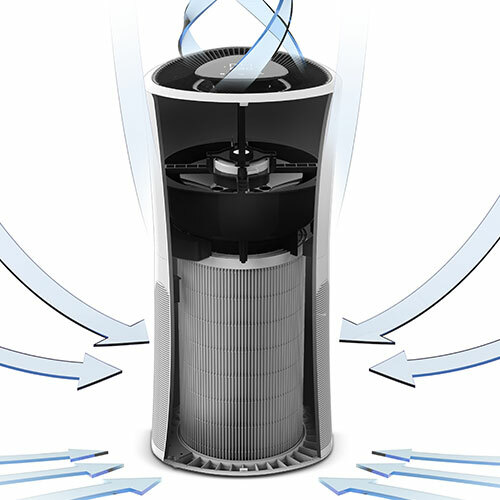 See our entire family of QuietPure Air Purifiers. Android Users: The free, downloadable App for Droid phones is now available through Google Play. 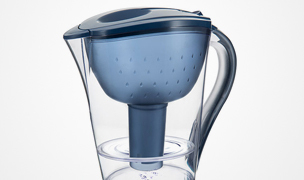 Once in the Google Play app store, search for 'Air Purifier-USA' and you will see the Blue 'QuietPure' app. Download to your phone and follow step-by-step instructions. To sync your phone app with your QuietPure Home Plus air purifier, we recommend that you have your WiFi network name and password. 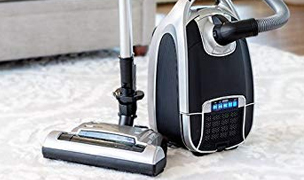 You should also be in the same room as the air purifier when syncing. Requires a 2.4 GHz router for syncing the app with your air purifier. Apple Users: The optional App for your Apple iOS is available in the Apple store. Once in the Apple app store, search for 'Air Purifier-USA' and you will see the Blue 'QuietPure' app. Download to your phone and follow step-by-step instructions. To sync your phone app with your QuietPure Home Plus air purifier, we recommend that you have your WiFi network name and password. You should also be in the same room as the air purifier when syncing. Requires a 2.4 GHz router for syncing the app with your air purifier. 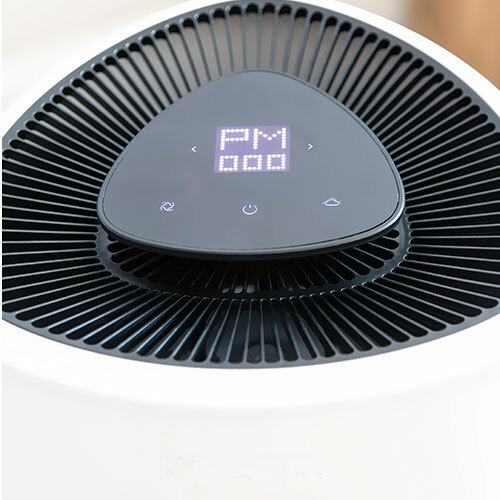 The QuietPure Home+ Smoke Air Purifier utilizes the most advanced sensors to measure air quality in your home down to PM2.5. Outdoor air quality conditions (displayed via free optional App) utilize a leading data supplier and readings are based upon your zip code. Short term and long term air quality data graphs are designed to provide you with the opportunity to identify trends in your behavior or trends associated with the weather in your local area. 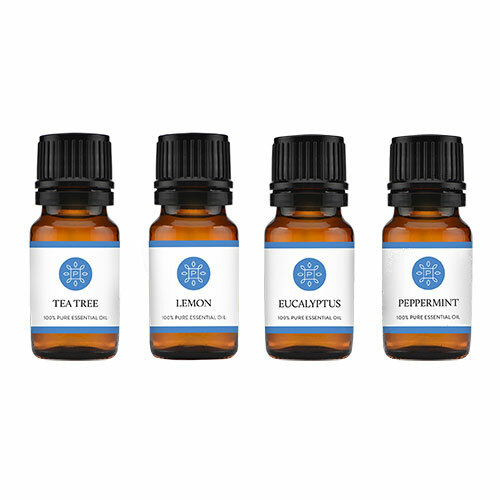 Once equipped with this knowledge, you are able to make educated decisions about your health and lifestyle. Particulate matter, or PM, is the term for particles found in the air, including dust, dirt, soot, smoke, and liquid droplets. Particles can be suspended in the air for long periods of time. Some particles are large or dark enough to be seen as soot or smoke. Others are so small that individually they can only be detected with an electron microscope. 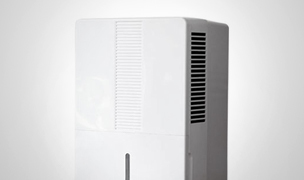 The QuietPure Home+ Smoke Air Purifier is a real game changer for anyone concerned about their health. The Home+ air purifier doesn't just clean the air in your home, it provides you with data to better understand when and why your air quality changes. 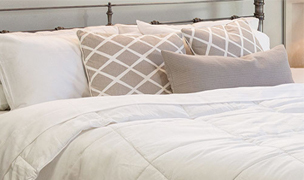 Good air quality is proven to help with general health, a strong respiratory system, better quality sleep, reduction of snoring and even weight loss. Isn't it time to commit to improving your family's lifestyle, how you feel, and ultimately enjoy a better quality of life? Click here to view the outdoor air quality in your local area. 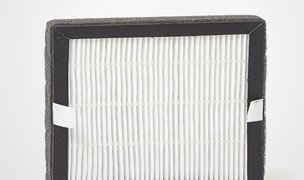 The QuietPure Home+ Smoke model was redesigned with an improved combination filter that includes a pre-filter, certified HEPA filter and 4+ lbs. of granulated activated carbon. By adding the 4+ lbs. 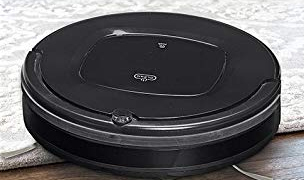 of granulated activated carbon, the Home+ air purifier is dramatically more effective at removing harmful chemicals, VOCs, smoke and odors from your air. 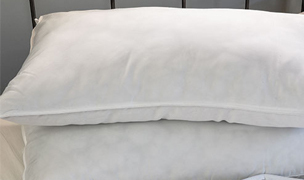 This provides you with complete protection from pollutants most commonly found in homes and businesses. 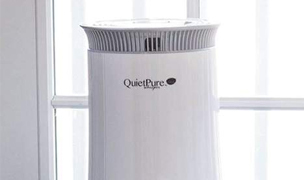 The QuietPure Home+ Smoke air purifier is quieter, cleans more air and is easier to use than other brands; making the Home+ your first choice for allergy and asthma symptoms and for severe respiratory diseases such as COPD. 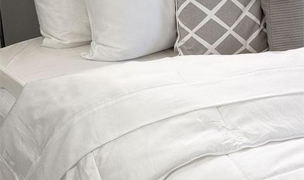 With your new QuietPure, you are equipped with real data that puts you in control of your home's health, enabling you to make changes to your environment and secure the health and well being of everyone in your family. Category Winner for the Air Purifiers for Smoke category. Square Foot Coverage 1158 sq. 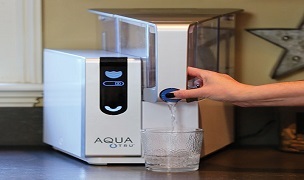 ft.
For use with the QuietPure Home+ Smoke Air Purifier By Aerus. 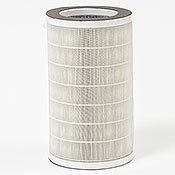 Replacement combination filter cartridge includes a pre-filter, HEPA filter and 4+ lbs. of activated carbon. Replace every 6 - 12 months or as needed. 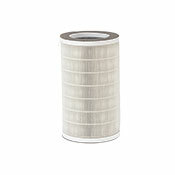 For use with the QuietPure Home Air Purifier By Aerus. 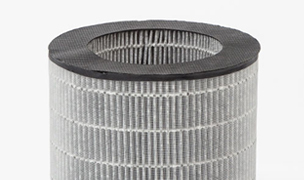 Replacement combination filter cartridge includes pre-filter, HEPA filter and activated carbon. Replace every 6 - 12 months or as needed.